A high quality drum with great value for money and a a lot of different models. Signature Line Modell, a collaboartion with Christian Hedwitschak. 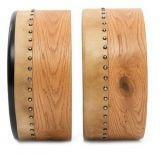 Exklusively produced for bodhran-info!